When considering how to become a data scientist without a degree — or whether such a thing is even possible — it’s best to look to the greats for guidance. Data science doesn't care about what you majored in or if you even got a degree. It's what you do with data that matters. Do you need a degree to be a data scientist? Focusing on a person’s work experience instead of their education? Makes sense. After all, there are plenty of examples of college dropouts who went on to become wildly successful within the tech space. Think Steve Jobs, Mark Zuckerberg, and Bill Gates. And some of the data science sphere’s most influential leaders have non-technical degrees. Doug Cutting, the creator of the Hadoop framework, has a bachelor’s degree in linguistics. Tim O’Reilly, whose company O’Reilly Media is the world’s foremost publisher of data and programming resources and who was dubbed “the oracle of Silicon Valley,” has a bachelor’s in the classics. So, do you need a degree to be a data scientist? Real talk: of course it helps. Looking at job postings for data science roles, they typically don’t even mention a bachelor’s degree, instead jumping right to a master’s or Ph.D. in computer science, engineering, mathematics, or statistics. However, because demand far outpaces supply, companies often hire individuals without a graduate degree. What about data analysts? These roles usually require an undergraduate degree in a STEM (science, technology, engineering, mathematics) category, with programming, computer modeling, or predictive analytics experience. An advanced degree is an added bonus, but is not expected. Clearly, there is still a strong affinity in the industry for people with degrees. After all, a university education holds more power than just the knowledge transferred: it can open up new networks and offer social proofing that you are determined to overcome any challenge. But based on our experience helping people transition into data science jobs, we know it is absolutely possible to learn data science without a computer science or mathematics background. And also to get a job! So while you don’t necessarily need a specific degree, you do need the skills. There are three main data science skill sets: statistics, programming, and business knowledge. A data scientist needs to know statistics and math to analyze patterns in data and to manipulate it with different treatments. They need to use programming skills to deal with data at scale that can take up terabytes of space. They need to understand business fundamentals in order to communicate their findings and drive other teams to action based on their insights. This is a diverse skill set, but one advantage it brings is that most data scientists will not have picked up all of these skills in an academic environment. This means there’s often a lot of self-learning. Ultimately, if you can prove through project work that you have serious data science skills, it doesn’t matter whether you acquired them through a formal degree program, an online bootcamp, or on your own. You’ll want to constantly think about how to learn more data science. The best data scientists are lifelong learners. As a foundation, we suggest learning at least one programming language so you can start playing with data at scale. It’s strongly suggested that budding data scientists embrace either R or Python to begin with. These languages are always in competition to be the language of choice among data scientists. Python is versatile, simple, easier to learn, and powerful because of its usefulness in a variety of contexts, some of which have nothing to do with data science. R is a specialized environment that looks to optimize for data analysis, but which is considered harder to learn. As a data scientist, you’ll be called upon to use statistical methods to analyze and interpret data. You must know statistics to infer insights from smaller data sets onto larger populations. This is the fundamental law of data science. You should be familiar with those methods as well as the overall mentality associated with thinking in probabilities. Combine your knowledge of data science methods with domain knowledge so you can start unearthing insights about a particular industry. 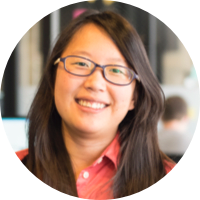 You’ll want to learn something you’re passionate about and then start applying data science methods to it. Take the knowledge you have and start building a portfolio of interesting data science projects. Examine different angles and questions and build interesting analyses you can share with others. You’ll want to create a portfolio site using software such as WordPress and a Github account and start applying the skills you’ve learned in theory. You’ll want to network and make connections within the data science community, whether that’s at a local Meetup event or a larger conference like O’Reilly Strata. It’s important that you start networking and getting to know what opportunities lie in data science, and it’s important to start finding people you can collaborate with and learn from. You’ll want to start building relationships with people at hiring companies or who have data science needs: you may even consider freelancing as a data scientist if you can build projects at a professional level. After growing your professional network and building a stand-out portfolio, you’ll want to start reaching out for job opportunities. At this point, you should focus on mastering your skills and passing the data science interview process. Springboard has created a comprehensive guide to data science interviews that can help in this regard. Once you’ve mastered the data science interview and accepted your first offer, you’ll be on a career path as a data scientist. Learning data science will have paid off. For a curated flow into the basics, Springboard has a data analysis learning path that will help you organize your learning. Here are some of the basic fundamentals you should learn for each section. How Bayes Theorem, Probability, Logic and Data Interact – This short primer on our blog goes into the basics of probability and logic, and how they interact with data. Think Stats – This book by O’Reilly Media explains statistics from a programmer’s perspective and is a handy guide to the stats knowledge you’ll need as a data scientist. What math subjects would you suggest to prepare for data mining and machine learning? – This thread on the Stats Stack Exchange covers a self-made curriculum of math topics you’ll need to cover to succeed in data science. 15 Mathematics MOOCs for Data Science – This blog post covers great options for free online courses that can help you with your math skills. It’s an essential read for those looking to learn data science. Data science sexiness: Your guide to Python and R, and which one is best – This guide covers the differences between R and Python and how you can learn both. Datacamp – Datacamp offers both free and paid interactive online courses that can teach you R or Python. 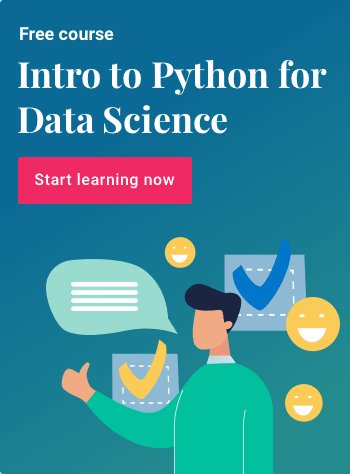 It’s a great way to learn data science with R or data science with Python online. W3Schools SQL Introduction – This tutorial from W3schools can help you learn data science with the basics of SQL. 18+ Best Online Resources for Learning SQL and Database Concepts – This listable will provide you with myriad resources to help accelerate your SQL learning. The SQL Tutorial for Data Analysts – This free interactive tutorial to SQL by Mode will take you from learning the basics of SQL to applying it to real-world cases. The Data Science Process – Springboard’s seven-day email course will help you frame your data science insights in a way that will change business outcomes. Guide to Data Science Jobs – Our guide to data science jobs gives you an outline of what business knowledge you need to be a successful data scientist. A Dramatic Tour Through Python’s Data Visualization Landscape – This guide walks through the rich data visualization landscape in Python, letting you take a look at a rich suite of tools you can use to visualize your results. FlowingData – Nathan Yau’s informative blog is one of the web’s leading authorities on data visualization tools and techniques. “How to become a data scientist without a degree” is one of those topics that’s all over the question-and-answer website Quora. The company’s own data science team has weighed in there with insightful comments about the industry. In a separate post, Chen listed helpful recommendations for people hoping to begin a career in data science without going to college at all. 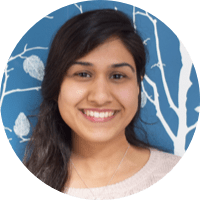 Of course, the Springboard alumni community is full of examples of people who launched data science careers without having degrees in a technical area. David Gibson was a film major who switched to marketing and then began taking the Introduction to Data Science course while still in school. He moved on to the Data Science Career Track and now works as a data and operations coordinator at a mobile-first advertising company. 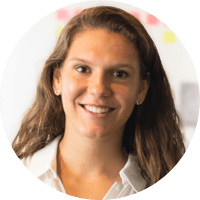 After graduating with a bachelor’s degree in chemical engineering, Melanie Hanna worked in a variety of manufacturing settings before pivoting to data science. George Mendoza came from a liberal arts background, having majored in history and economics. Shortly after completing the Data Science Career Track, he got a job as a data scientist at an AI consulting startup. So, do you need a degree to be a data scientist? Well, learning data science without a degree involves a bit of risk. You may spend time wondering if all your hard work will actually get you to the finish line: a data science job. Fear not. Follow the steps above and you’ll be well on your way down a path many have already taken: getting into data science without a data science degree. For more career-focused guidance, check out Springboard’s Data Science Career Track, a mentor-led bootcamp with a job guarantee.